The 21 Moving Average has acted as a support, but we still don’t have any reversal pattern so far. Therefore, the market is likely going to test the nearest resistance once again. 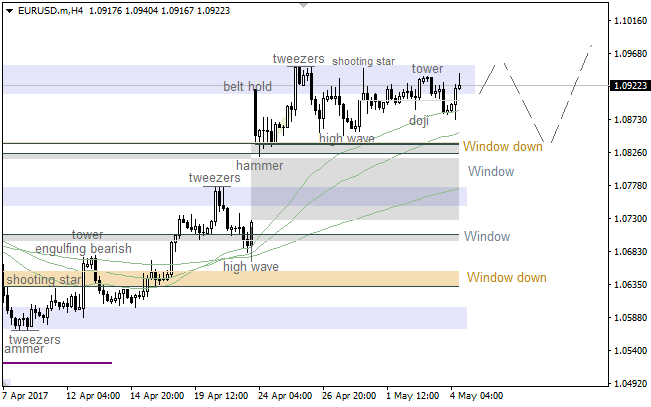 If a pullback from this level happens, there’ll be an opportunity to have a decline in the direction of the lower “Window”. We’ve got a pullback from the 89 Moving Average. 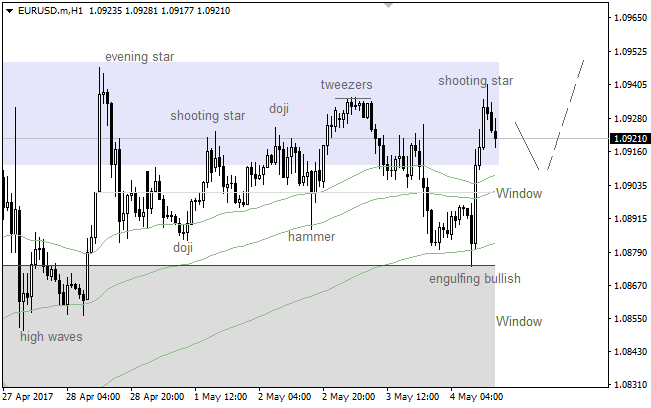 However, there’s a bearish “Shooting Star”, but a confirmation of this pattern is a quite weak. In this case, we could have a local downward correction during the day. If a pullback from the Moving Averages happens, bulls will probably try to deliver a new local high.